Easily and quickly embed this valuable checklist on your website! 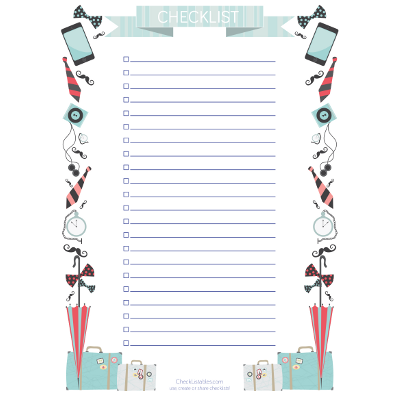 Everyone loves checklists! Add this to your website to provide your visitors with quality content. Choose the width and border colour. Then copy and paste the code below into a blog post or page on your website. The code will pull in the most up-to-date version of this checklist. 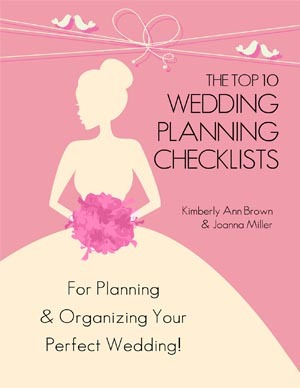 Increase the value of your website - embed a CheckListables checklist today! In order to ensure a safe switch and avoid any potential pitfalls during CRM data migration, there is a need to prepare for the process carefully and establish the necessary activities ahead of time. So, here is a checklist of tasks to perform before launching your CRM migration project.Execute a pre-migration data assessment. The very first thing advised to do is to verify the viability of the migration, as well as check the expenses and dangers connected with the move. This will help you to understand more clearly, what kind of provisions need to be made. Identify the available resources. Estimate what kind of resources you’ll need for the outlined migration tasks and activities. Categorize the resources by project phase and make sure they are available when required. Form the migration team and inform all project stakeholders. It is crucial to make sure that all of the involved parties and understand their roles and responsibilities. Take the time to talk everything through and communicate the necessary information to the right people. Establish the migration timeframe. At this point you are ready to start creating the approximate schedule of the transfer. According to statistics, more than a half of all migration projects go over time, so keep your plan flexible and realistic. Remember, this is not your final version and most likely you will still make some adjustments to it along the way. Take care of security regulations. Special attention has to be paid to security norms and requirements. Make sure you have all of the data access permissions necessary and all of the key stakeholders have granted their official approvals. Think of any tools or services that can simplify the transfer process. Automating various migration-related tasks can save you a considerable amount of time and effort. Some examples of the tools that may come in handy include reporting software, testing tools, migration services, etc. Perform a thorough data analysis. It is quite common that the CRM data gets messy, as more and more of it is being added into the system. A successful migration is possible only on condition that you know where your data resides, how it’s structured and what parts of it require special attention. Optimize the records, if required. A CRM switch is also a great possibility to bring your data back to an optimized state. A few typical examples of data cleaning are: parsing a comma separated values, removing special characters, taking care of empty strings, etc. Moreover, a well-structures database is much easier to transfer, which increases the chance that your migration will be straightforward and successful. Map the data. Once you have analyzed and optimized the data on your source platform, you can proceed to comparing its architecture with that available on a target system. Think of any custom fields you have created, compare the entity names, and think how you want to approach the discovered differences. Make the necessary adjustments to your migration plan and finalize the deadlines. If you have performed all the previous preparatory stages, you should now be aware of all the peculiarities of your project and the possible difficulties you may encounter. Based on the information you have gathered, refine your plan and work out the final project estimates. Disable indexes, workflows, and plugins. Make sure that all of the database indexes, workflows and plugins are deactivated, before you launch your migration. Verify that your legacy CRM has no data lockup. If you have the data lockup enabled, you won’t be able to export your records. Also, in case, you run an on-premise platform check the software itself, SQL server and RAM abilities for data export management. Perform a test migration. It is recommended to perform a trial run as closely to the live environment as possible. Selecting a large enough data sample will help you identify possible roadblocks and errors.